NESS RK3 Plus 1 Alarm Remote suits most NESS Alarm systems. The NESS RK3 Plus 1 Alarm Remote allows you to arm, disarm, activate an Aux output and provides a panic button for emergencies. The NESS RK3 Plus 1 Alarm Remote simply functions like your car remote control. NESS RK3 Plus 1 Alarm Remote suits most early model NESS Alarm systems. The NESS RK3 Plus 1 Alarm Remote will allow you to arm, disarm, activate an Aux output and provides a panic button for emergencies. The Alarm Remote simply functions like your car remote control. Inlock & Lock and provides additional functions that allow you to operate aux devices like a aux receiver and portable panic button. Aux Button – Switch a aux receiver to open a roller door or automatic gate. Panic Button – Portable panic button – Activates alarm system outputs in the event of an emergency situation. Sealed unit for all-weather protection. Soft buttons for sensitive touch. Coloured buttons for quick identification. Suits NESS D8x alarms pre- Version 4.0 & Security Guard I,II & III models sold by Chubb & FAI Home Security. 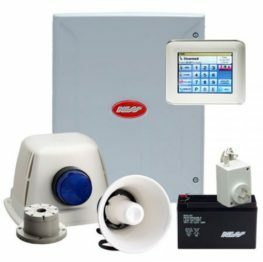 For more information on the NESS RK3 Plus 1 Alarm Remote contact KELRYAN – 1300 535792 – Sydney, Wollongong, Campbelltown, Sutherland, Nowra, Singleton, Newcastle, Canberra & Ulladulla. Be the first to review “NESS RK3 Plus 1 Alarm Remote” Click here to cancel reply.